The Wizards FC was a team of former schoolfriends who - with the help of a few star ringers - slogged their way through mud, skinheads and Staffordshire bull terriers to win the Edmonton Sunday League. Team captain Ewan Flynn brings alive a world of young men giving it their all on sloping pitches a million miles from the glamour of the Premier League, and officials who volunteer to maintain some sort of order. Along the way he charts the bittersweet stories of mates who brought success to the Wizards, despite suffering disappointment in their own all-too-brief professional football careers. 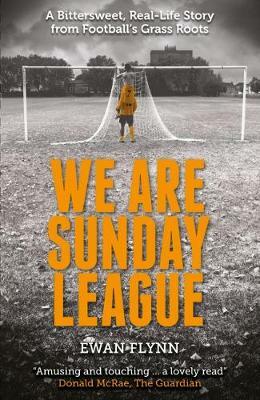 It's a sometimes farcical, sometimes tragic tale of growing up in north London: family tensions, friendship, being a man, and seeing where your dreams can take you - even a Roy-of-the-Rovers rise to captaining your country against the world champions. Injuries on the pitch led the writer to many encounters with the surgeon's knife in order to keep playing. He shows how once football has you, it never lets you go.